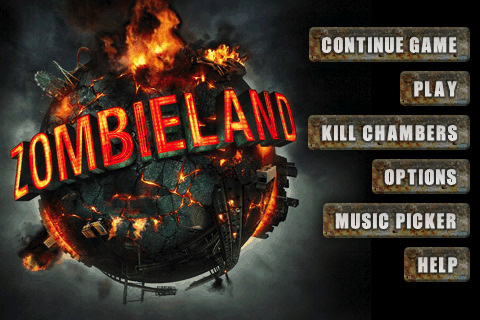 This land is your land, this land is our land, this land is Zombieland! As the heroic zombie killing artiste, Tallahassee, fight for your life and laugh in a horrific and comedic world overtaken by the flesh eating undead. How long can you survive? Use all of your skills to survive another day. Perform headshots, special moves, and double-tap ground kills. Kick and shake off zombies, use health packs, and remember to reload before someone (or something), takes a bite out of you. 2. 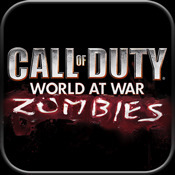 Call of Duty: Zombies By Activision Publishing, Inc.
New York City is in ruins, the streets are filled with zombies, and it’s up to you to fight your way out and find safety. 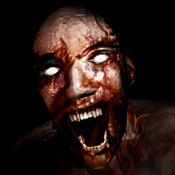 Blow away zombies with an incredible arsenal of weaponry in a stunning variety of locations including the streets of New York City, underground subways, abandoned highways, rural farmlands, broken down suburbs, mountain caves, and more! Or, try your hand at endless mode, and see how long you can survive — make sure to submit your score to the global online leader board! BONUS! BATTLE BEARS -1 is FREE for a LIMITED TIME to celebrate the launch of BATTLE BEARS -1 Mac on the Mac App Store! Available Now! Game play is simple and fun. Use one thumb to aim and the other thumb to tap-and-fire. 5. Plants vs. Zombies By PopCap Games, Inc.
A mob of fun-loving zombies is about to invade your home. Use your arsenal of 49 zombie-zapping plants — peashooters, wall-nuts, cherry bombs and more — to mulchify 26 types of zombies before they break down your door. Get ready to soil your plants! The goal is to survive… but you wont. How long will you last? It’s you, your heavily armed passenger, against a boatload of super-strong, leaping zombies. Shoot zombies with a growing arsenal of handguns, shotguns, and automatics. Shoot recently smashed zombies for extra damage! Tired of killing zombies? Try farming them! Farm, grow and harvest your very own zombie farm! Pick up your plow and choose from a rich selection of crops and corpse to plant and harvest in this quirky farming game. Then fight zombie prejudice by unleashing your horde of lovable living-dead on the neighbors! Over 6 MILLION Zombie Farmers agree that Zombie Farm is one of those must-have games! 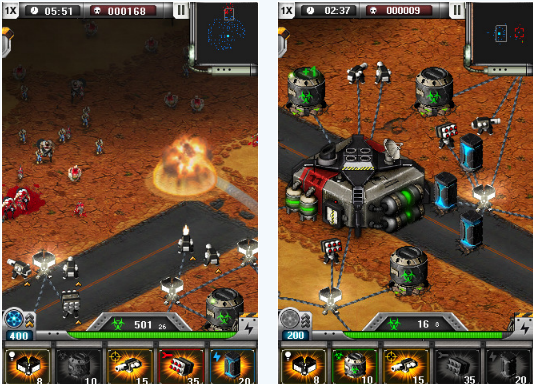 Explore the wastelands of BioDefense in this unique release from Resolution Interactive that will revolutionize strategy games on the iPhone/iPod Touch platform. BioDefense is a real-time strategy game where you’re defending your base against waves of relentless zombies. Build your defenses well and expand your base into the pitch-black wastelands in the hunt for more resources. Beware of different enemy behavior and adapt your tactics or be overrun in the mayhem. 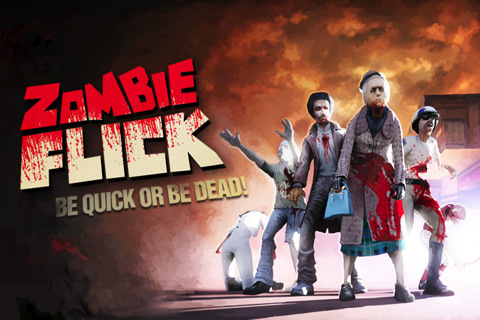 Be a Bad A*$ Zombie Killer… You better Be Quick or be Dead in this killer of a game! During the 1970s an incurable virus spreads throughout mainland America. With no food or guns to hand, it’s down to you as lone survivor to make the dead masses feel the pain. Using nothing but useless everyday objects, flick, dismember and decapitate all that come at you to survive! Wrapped up in an atmospheric cinematic style, Zombie Flick will provide a fresh and bloody challenge to gamers with the tastiest brains. zombie-chases invite you to the world of great suspense. 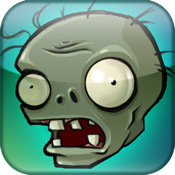 Zombie Escape is the first functional game on the iPhone that is interactive with GPS. The way the game works is it puts you (as a blue radar icon) on a map of the world (at your current location). Then, throughout the game various zombies (as red radar icons) appear on the map near you and chase you. You must now run in real life and GPS will track your location and move you away from the zombies chasing you. The longer you last the higher your score goes. When a Zombie eats you, you then enter your initials and save your score to the high-score’s database.